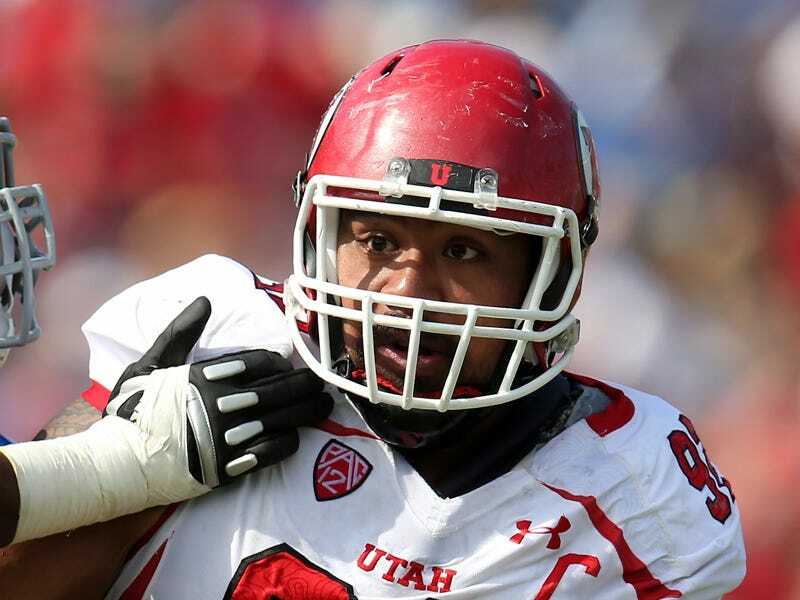 Utah defensive tackle Star Lotulelei had to pull out of the NFL Combine when doctors discovered that he has a heart condition that needs more testing.An echocardiogram found that his left ventricle wasn’t pumping blood as efficiently as it should and he needs further tests, ESPN’s Chris Mortenson. Lotulelei was the #1 prospect on both Scouts, Inc.’s and SB Nation’s big boards. He’s a big, athletic tackle who takes up space and rushes the passer. He was a consensus top-five pick before the heart condition was discovered, but in SB Nation’s latest mock draft he slipped to number 14. We won’t know the full extent of the condition yet, and obviously the first thing to figure out is whether or not it’s smart for Lotulelei to keep playing football. But this is certainly something that could shake up the draft if it’s serious. Hopefully it’s not.